Canon Mark was for many years a professional organist and still plays a contemporary song or two — usually on piano or electronic keyboard — at some of the weekends he leads in churches. Every once in a while, however, he gets to give a concert on a big organ. 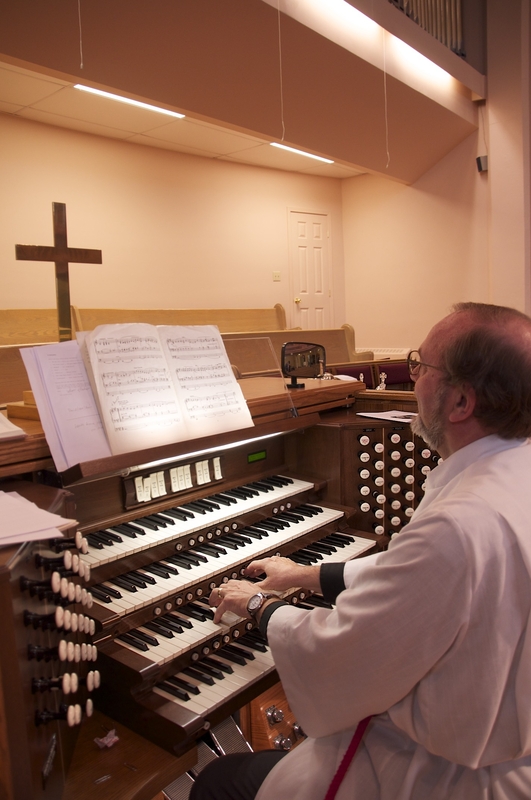 On Saturday, October 15, 2011 he gave a half hour organ recital just prior to the wedding of Rebecca Gilbert and Andre Blanchard in Midland, about an hour and a half north of Toronto, Ontario, Canada. Doesn’t it look like he’s having fun! Dr. Mary Pearson is an excellent teacher. 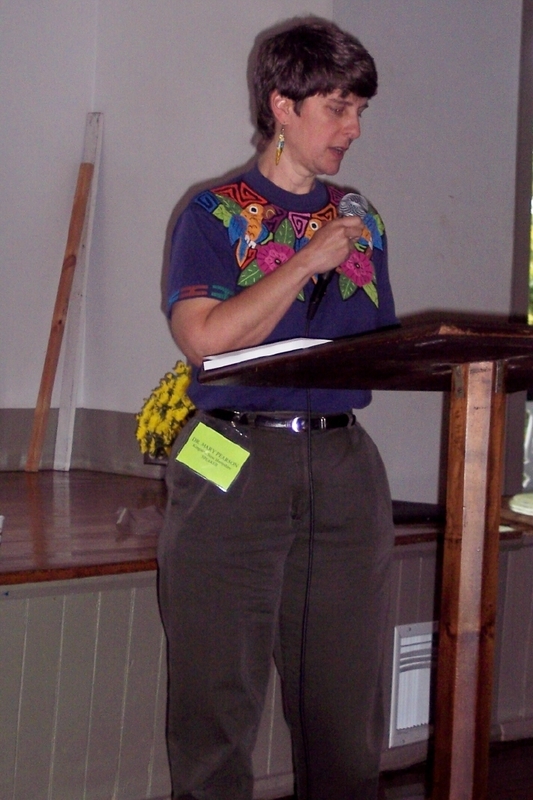 Because of her schedule as Chief Operating Officer of New Creation Healing Center, she seldom gets to teach other than at the seminars we sponsor at our Kingston, New Hampshire headquarters. But every once in a while she goes on the road. This past September she was invited to be the principal teacher for “The Healing Center,” an annual healing conference / retreat held at “Shrinemont,” a conference center in Orkney Springs, Virginia. She gave five talks to an audience comprised chiefly of medical people and experienced healing team people. (Canon Mark went along to give two workshops, lead the worship and provide the music.) Our Newsletter will be offering some of these teachings in the months ahead.